Choosing the right location gives confidence to those planning a meeting. 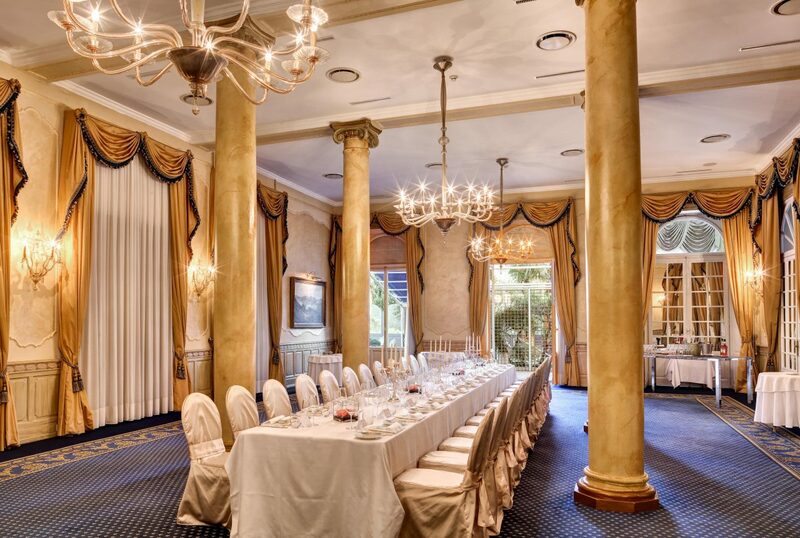 If you add the professionalism and courtesy of Hotel Splendide Royal’s staff your event is guaranteed to be a success. The beautiful, bright and elegant rooms will suit your needs, light and airy rooms that inspire. So whether you are organising a work meeting or a friendly team building day choose the space that works best for your event: family-friendly, welcoming and classy, the Splendide certainly has what it takes to give you the best of what is on offer. 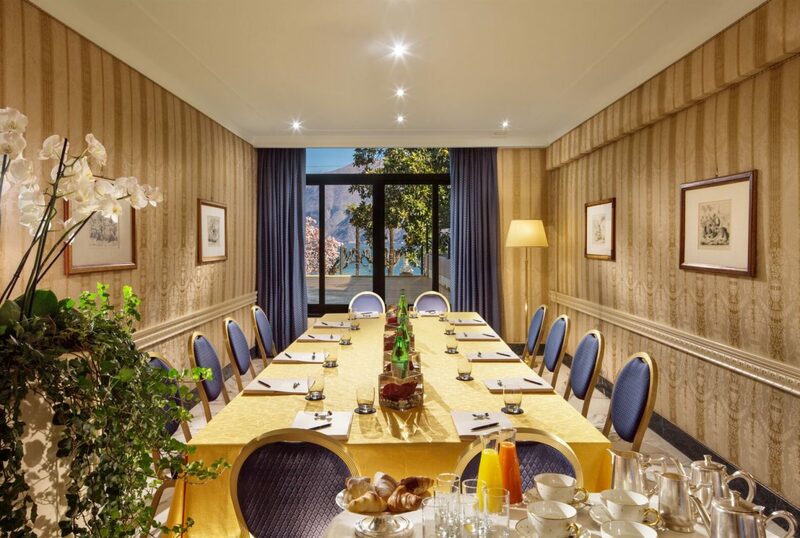 Unique spaces and luxurious details, breath-taking views of Lake Lugano and the possibility to personalise the rooms according to your needs: at the Splendide your event will have found a home! The Lago is the smallest of Splendide Royal's event rooms, but is just as beautiful and luxurious as its larger neighbours. With space for about 18 people, it is ideal for more intimate gatherings such as reunions, private dinner parties and small celebrations. The room is awash with natural light and stunning features, and provides a comfortable venue for both daytime and evening events. Offering stunning luxury in a bright and airy room, the Blu Room provides the perfect atmosphere for any type of event. Here your guests can also step out onto the terrace and enjoy the stunning views over Lake Lugano. This room, which also features classimc columns, will be laid out according to your needs by the Hotel’s attentive team. The Azalea Room is the second largest room the Splendide offers and has space for up to 160 people. Featuring wide windows with breath-taking views, it can accommodate any large or medium-sized event. The luxurious features of the room make it the perfect location for weddings, private functions, and corporate events. 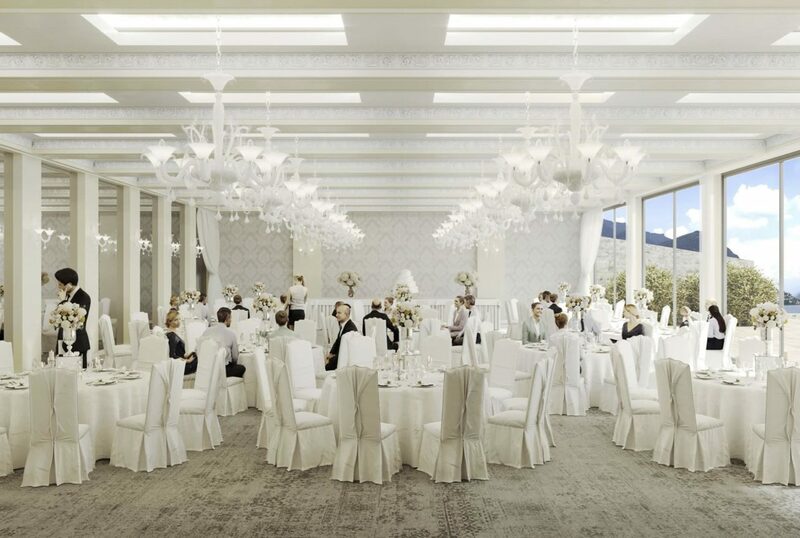 The New Panorama will accommodate up to 240 people and will be the largest of Splendide's event rooms. The Splendide team will arrange and decorate the Pavillon however you need it. 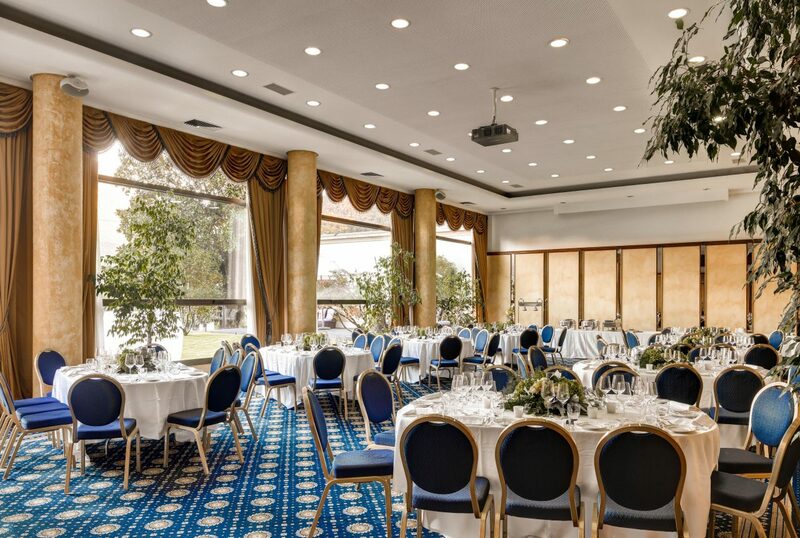 This spacious room and its adjoining terrace will be ideal for weddings, conferences, award ceremonies, and other prestigious events.